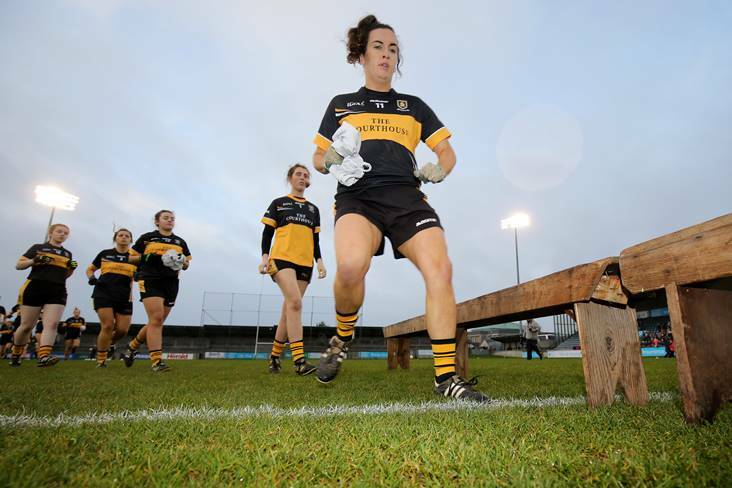 Mourneabbey's Brid O'Sullivan leads out her team-mates. ©INPHO/Oisin Keniry. THE Ladies Gaelic Football Association can confirm fixture details for the All-Ireland Senior and Intermediate Club finals on Saturday, December 8. The time and venue for the Junior Final between Glanmire (Cork) and Tourlestrane (Sligo), which will be held on Sunday, December 9, will be confirmed in due course. Foxrock Cabinteely (Dublin) v Mourneabbey (Cork); 5.15pm, Parnell Park, Donnycarney, Dublin. Clontarf (Dublin) v Emmet Óg (Monaghan); 7.30pm, Parnell Park, Donnycarney, Dublin.